based o n the plans shared at the links. 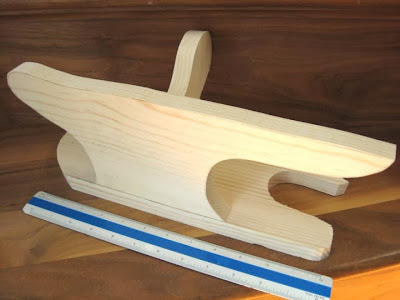 In the video I shared day before yesterday, a June Taylor pressing tool was shared by Nancy Zieman in the video on pressing. Through the wonders and magic of the members of the MAIDA Dolls Group, someone found a plan for a similar pressing tool. Here are the links - thanks to Diane and Valerie! Wendi made the tool above from the plans below. Link to Chance of Rain's Post on Making a Pressing Tool. Chance of Rain has a whole series on making your own tools which you can view here.